Freshfields celebrates incredible milestone as rescue centre turns 40! The rain did nothing to dampen the spirits of everyone at Freshfields Animal Rescue Centre this week, as the charity celebrated its 40th birthday. Based in Ince Blundell, the animal loving charity has been providing a rescue, rehabilitation and rehoming centre for abused, abandoned and unwanted animals since 1979. 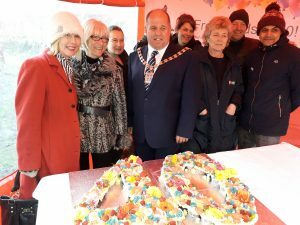 Cllr Dave Robinson, the Mayor of Sefton, said: “Today is about recognising the very special part that Freshfields plays in the life of our local community, especially during Sefton Council’s 2019 Year Of Friendship. “Over the past 40 years, the local community has come to depend on Freshfields as a vital resource, to which they can bring animals in desperate need, and know that they will be treated with compassion, dedication and excellent medical care”. 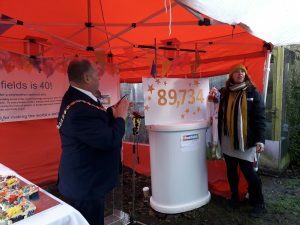 The Mayor was delighted to be asked to unveil a plaque revealing the number of animals that Freshfields have cared for in the last 40 years – an astonishing 89,734 animals! Helen Stanbury, Director of Freshfields, said: “Any charity like Freshfields can only carry out its vital work thanks to the people that come together in support of it. Those people support us in an endless variety of ways and they come to us from so many different walks of life. Mayor's Musings: From graduations to geraniums! David Baddiel brings half term fun to The Atkinson! Superheroes are landing at Splash World!